This morning tour the pyramid complex at Giza with your private guide. Visit the Museum of the Solar Boat, experience a short camel ride, and see the enigmatic Sphinx - said to portray the image of the 4th dynasty Pharaoh Kafre. This afternoon will be free to relax and enjoy the facilities of your hotel. After breakfast visit the Egyptian Museum with its incredible collection of antiquities which include the golden treasure of Tutankhamen, and the elaborately wrapped mummified Pharaohs in the Royal Mummy Room. This afternoon visit the ancient fortress of Babylon, now known as Coptic Cairo, and visit the fine churches, Ben Ezra synagogue, and Coptic Museum. This morning enjoy a heritage walking tour through the bustling colourful lanes and alleyways of medieval Cairo: a real immersion into the Middle Eastern experience. 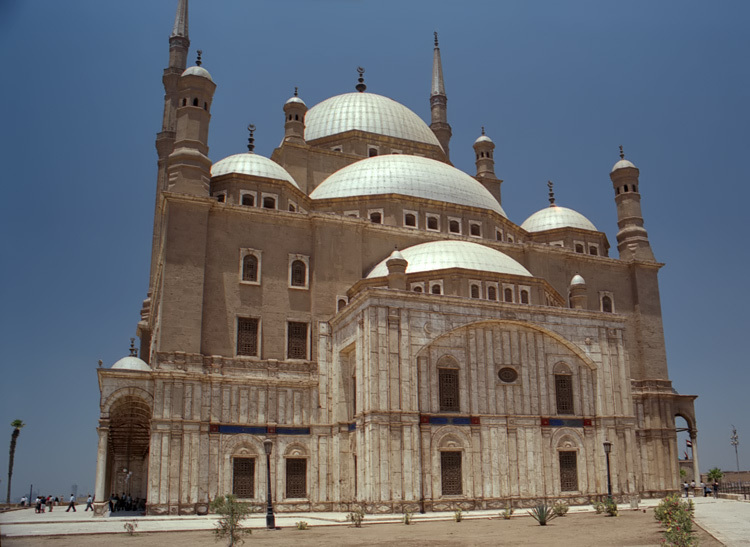 Next, visit the beautiful mosque of Ibn Tulun Mosque and the little known Gayer-Anderson Museum – a beautiful house dating from the 18th century. The afternoon will be at leisure. This evening revisit the pyramids to see the spectacular sound and light show. Transfer to Cairo International Airport and check-in for your on-ward flight. Accommodation and sightseeing as described. The service of Corinthian Travel’s representatives throughout your time in Egypt. Private English speaking guide for all sightseeing. Entrance to Royal Mummy Room at Egyptian Museum. International flights (We recommend the services of BMI and British Airways). Items of a personal nature including telephone calls, alcoholic drinks, laundry and room service. All prices are subject to availability at the time of booking. Prices do not include International flights, are on a per person basis, based on two people sharing a room, and a minimum group size of two. Single and sole traveller supplements will apply.